The permanent exhibition of the Jewish Museum of Deportation and Resistance was inaugurated in 1996 and was dismantled in 2011. The documents in this collection are work copies. Kazerne Dossin cannot provide copies of these materials to third parties. Item descriptions were drafted by dr. Laurence Schram. Multiple institutes, including: USHMM, Washington DC; Yad Vashem, Jerusalem; Jewish Museum of Belgium, Brussels; Service for War Victims, Brussels; Mémorial de la Shoah, Paris; Cegesoma, Brussels; private collections. This collection consists of work copies of original documents stored at other institutes. The Jewish Museum of Deportation and Resistance (JMDR), predecessor of Kazerne Dossin, opened its doors in 1996. The museum was the result of a collaboration between the Jewish Central Consistory of Belgium and the Association of Jewish Deportees. Sir Natan Ramet, survivor of Auschwitz, the death marches and Dachau, was appointed president of the new museum. Apart from its commemorative, museological and educational assignment, the JMDR also had a historical assignment : to digitise all archival collections related to the Holocaust in Belgium and to make these documents available to the public. In 2008 the Jewish Museum of Deportation and Resistance was reorganised and became, in 2012, Kazerne Dossin - Memorial, Museum and Documentation Center on Holocaust and Human Rights. The Jewish Museum of Deportation and Resistance was inaugurated in 1996 at the site of the former SS-Sammellager Mecheln, better known as the Dossin barracks. In 1994 researchers Maxime Steinberg and Laurence Schram had started working on the permanent exhibition. 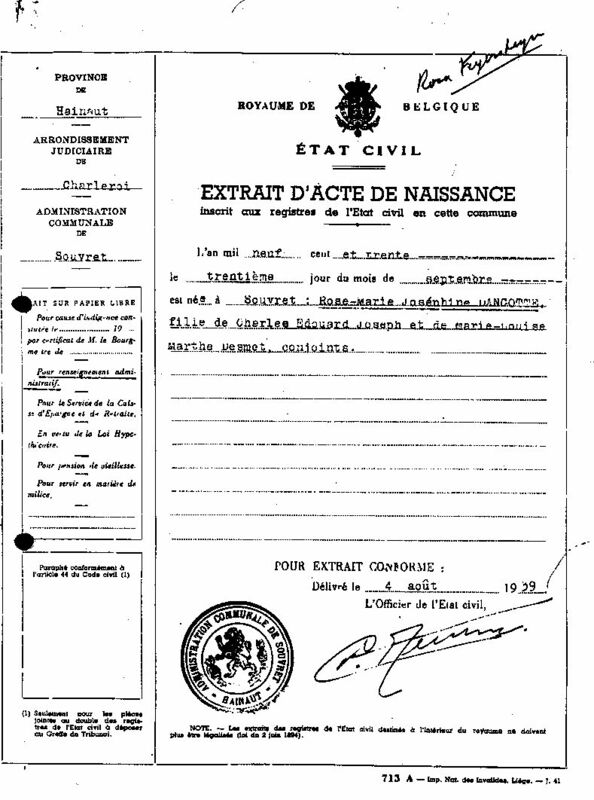 Searching for documents on the Holocaust in general and the Belgian case in particular, they assembled a research collection containing work copies of important documents which were part of the archival collections of other institutes. Thus a research collection was created. Kazerne Dossin as the successor of the JMDR inherited its archival collections, including the collection of miscellaneous documents (work copies).